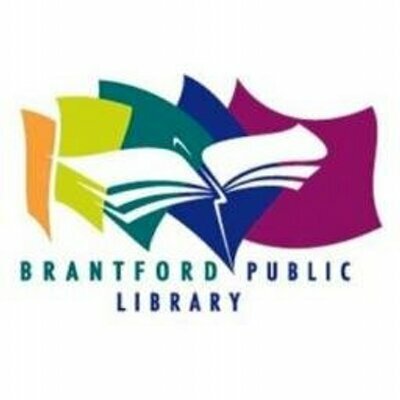 Brantford Public Library is located in Brantford, Ontario, Canada. Their mission is to connect the community to information, partnerships, and peace. They believe in intellectual freedom, access for all, and will treat everyone with courtesy and fairness. The Brantford Public Library has genealogy resources. The Birth, Marriage, Death Search Index covers births, marriages, and deaths appearing in the Brantford Expositor. Notices for anniversaries, divorces, birthdays, and naturalizations are also included for some years. The index lists the date of the notice, not the date of the event. The actual notice is on microfilm at the Main Library. Non-residents can request photocopies of notices. The Album of Honour for Brant County was compiled in 1946 by the Brantford Kinsmen Club to commemorate those of Brantford, the County of Brant, and the peoples of the Six Nations who served Canada during the Second World War. From 1939 until 1945, over 6,000 men and women of Brant County joined the armed forces. Over 300 never returned. To view the photos and biographies of these brave men who made the ultimate sacrifice please click on the Virtual War Memorial Link. The Digital Archives is a fully searchable database that includes digitized books, biographies, newspapers, school yearbooks, and pictorial histories. In addition, the Archives offer an incredible selection of historical photographs. They have census reels for 1851-1911 for Brandt County and many of the surrounding counties in southern Ontairo. The Brantford Public Library will answer specific questions about Brandt County genealogy and local history from non-residents. They will check indexed resources and photocopy pertinent information. A limited amount of research can be done for each person. A $25.00 fee must be received along with a written request before any research is done. The fee includes 1-20 copies as well as research time and postage.